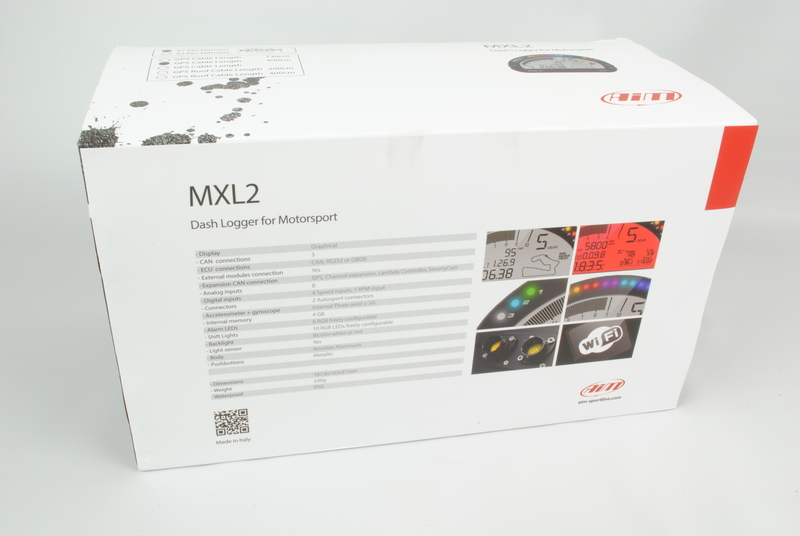 The AiM MXL2 Dashlogger offers an attractive and easy to use interface that is perfect for amateurs and pros alike. By acquiring and displaying data from your ECU, internal accelerometer & gyro, and from the included GPS Module, information is always at hand! 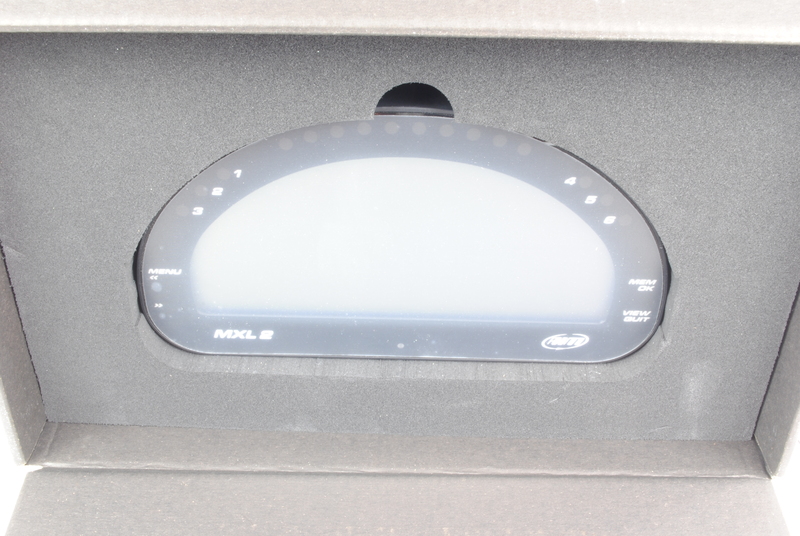 The high contrast LCD screen features a white or red backlight that can be changed conditionally and stays at an optimum brightness level with an ambient light sensor. 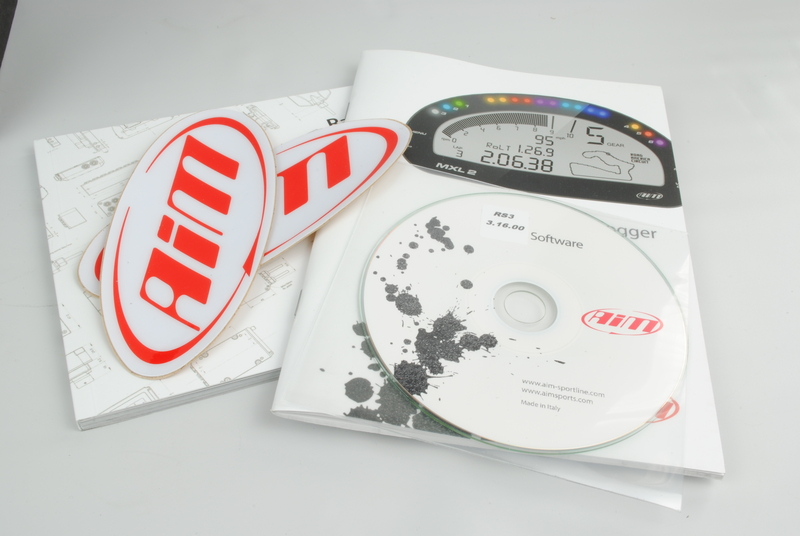 The display, with a black-to-white contrast ratio nearly double of earlier units, can be custom defined with up to eight different pages, and numerous page styles featuring anything from vehicle data to a live track-map. The compact dash also features 6-different alrm LED’s that can be custom programmed to your specific conditions, and an integrated 10-LED shift-light with customizable color-LED’s. Finally, like many AIM systems, the MXL2 is limitlessly expandable using the built-in CAN bus. Easily integrate accessories such as a SmartyCam camera system, or Lambda controller. 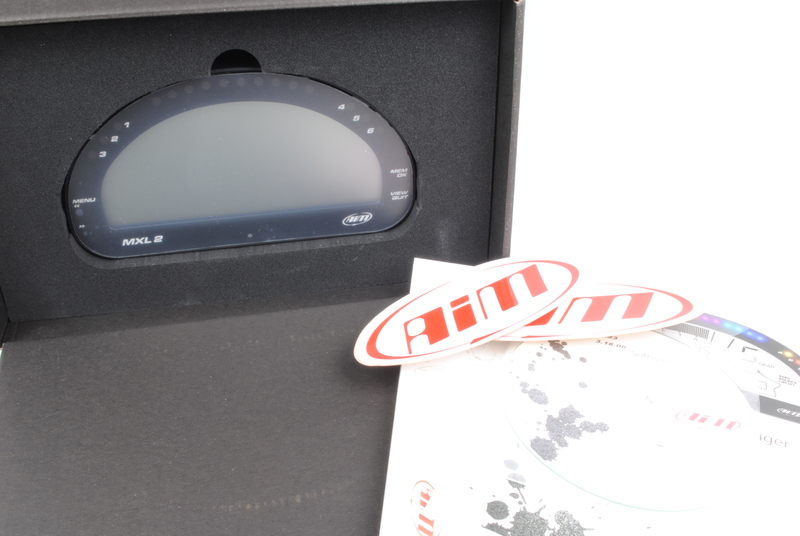 Configuration is easy through the included Race Studio 3 software from AiM, and the dash can easily be accessed through the integrated WiFi connection. • ECU Connection: Capable of acquiring data directly from the vehicle’s ECU. • Analog & Digital Inputs: 8 Analog inputs record up to 1000x per second each. 6 Digital inputs are also included. • Secondary CAN-line: CAN2 line manages data from additional modules, such as ABS, traction-control, etc. • Internal Accelerometer & Gyro: Internal 3-Axial accelerometer and a gyroscope for crucial vehicle motion data. • Math Channels: Configure the dash to immediately display Math Channel values, such as brake bias or a calculated gear. 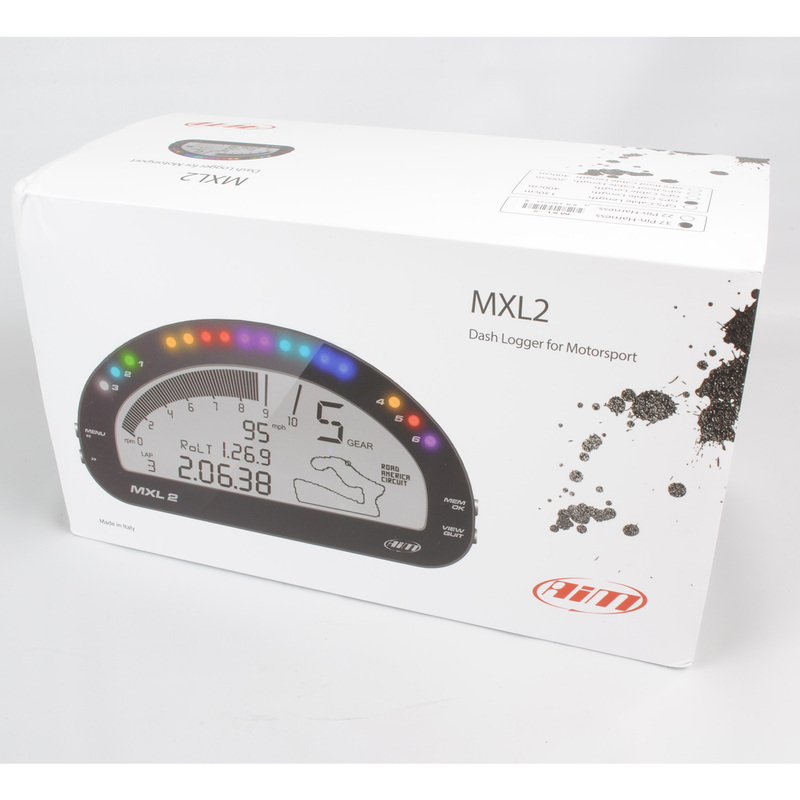 • Upgrade your MXL: Have an existing MXL setup? Easily upgrade your system with an MXL adapter harness (sold separately).